John Lodwick was born at Cheltenham, Gloucestershire in 1916. His father died at sea before his birth, and Lodwick was raised by his young mother and his grandfather. After spending most of his infancy in India, Lodwick was sent at age 8 to Cheltenham College preparatory school, where he acquired a penchant for British naval history, a hobby that led his guardians to dispatch him into the Royal Navy. He attended the Royal Naval College of Dartmouth, and after spending some time at sea, Lodwick left the Navy at age 18 to become a writer. His literary agent, Curtis Brown, encouraged him to experience more of life before attempting to write novels, and he accordingly relocated to Dublin for three years, where he was an advertising agent, journalist, and playwright. When the Second World War broke out, Lodwick was living in France, and he immediately volunteered for the French army, serving in the Foreign Legion. His first novel, Running to Paradise (1943), drew on his wartime experiences and won the $1,000 War Novel Prize. Between 1943 and 1960, sixteen more novels followed, as well as works of nonfiction and autobiography. Lodwick’s prolific output included war novels, thrillers, adventure novels, and comic fiction; most of his works were published both in England and America and many of them were translated into foreign languages. During the 1940s and ’50s, Lodwick was one of the top sellers for publisher William Heinemann on a list that also included Somerset Maugham, J. B. Priestley, and Graham Greene. Critical reactions to Lodwick’s books were mixed. Though reviewers were unanimous in praising his fine style, wit, and sardonic humour, he was sometimes rebuked for the cynical tone of his books and the unpleasantness of his characters. Nonetheless, his many admirers included Maugham, John Betjeman, and Anthony Burgess. John Lodwick died at age 43 in 1959 in a car crash in Spain. 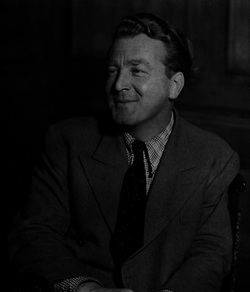 At the time of his death, he had been working on a volume of autobiography, a fragment of which was published posthumously as The Asparagus Trench (1960) to rave reviews, with critics agreeing that, had it been completed, it would have ranked as one of the great autobiographies of its time. 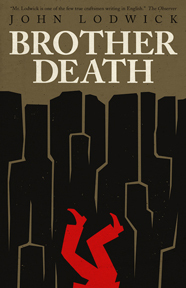 In The Novel Now (1967), Burgess warned that because of Lodwick’s early death, he was in danger of being neglected, and as D.J. Taylor has noted more recently, Lodwick’s “doomy romanticism” may have felt out of place in the 1960s alongside the realistic, working-class fiction that was then in vogue. A few admirers, including Iain Sinclair, Michael Moorcock, Chris Petit, and Patrick Wright, have tried to keep Lodwick’s reputation alive in recent years, and it is to be hoped that Valancourt’s republication of Lodwick will lead to his rediscovery.